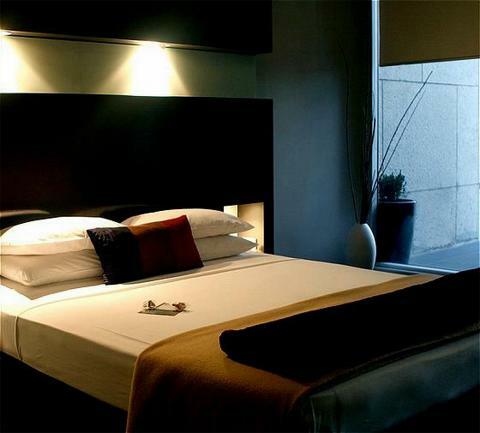 Retreat and rejuvenate in Sydney's premier boutique property. Set in the cityscape at the heart of Sydney's corporate, retail and entertainment precinct, the Blacket is a mix of old and new, showcasing a truly unique and contemporary design and style in the presence of heritage architecture, boasting a distinct and daring style that caters to the demands of the purpose driven corporate and holiday traveller alike. Housed in the refurbished 1850s ANZ Bank site (formerly Scottish Australia Bank) designed by one of the 19th century's most prolific Sydney architects, Edmond Samuel Blacket. The five two-storey Cityscape Loft Suites feature a queen size mezzanine bedroom, wet/dry mini bar, spa baths and CD stereo system as standard, plus all other facilities you would expect from a four and a half star property. Every room has high speed Internet connections available. The Sky Room and Roof Top Terraces has it's own private balcony overlooking King and George streets providing an ideal location for boardroom meetings, private dinners, cocktail parties. The Blacket boasts two unique venues Minc Restaurant & Bar and Minc Lounge. Minc Restaurant & Bar is located in an area forming a bridge between old and new. Minc has it's own cocktail bar with glass windows overlooking the hustle and bustle of George Street and aims to crank up Sydney's legendary buzz. The Minc Lounge provides a less formal atmosphere, located under the heritage arches of the old bank vault in the basement. Escape for lunch into a world of sharp flavours, defusing musical sounds with service that is prompt and friendly. Located at the corner of King and George streets in the heart of the CBD, our entrance is on King Street. If arriving by car we suggest that you call us on approach so we can direct you to the car park. Please note: Parking must be requested in the Guest Comments field when booking. It is at a cost of $25.00. Here at the Blacket our events team has a wealth of experience organising corporate functions, conferences and product launches, and will ensure that the process of arranging your event is effortless and enjoyable. The Sky Room, our rooftop venue, is surrounded by towering skyscrapers of Sydneys CBD. 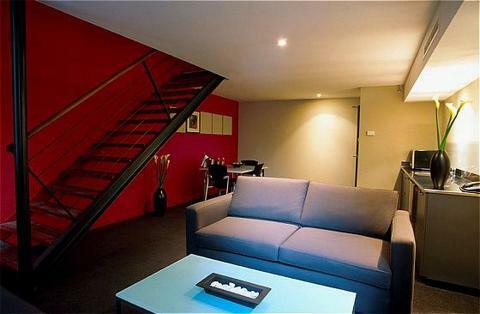 It has an interior room as well as a large private terrace with a fantastic outlook over King St to Hyde Park Barracks. The Sky Room is ideal for boardroom meetings, conferences, product launches, cocktail parties and gourmet BBQs. The interior room accommodates up to 30 for conferences, private dinner parties and corporate lunches. Floor to ceiling glass on two sides results in an abundance of natural light, making it a highly popular location for conferences and meetings. The combined space can accommodate up to 150 guests and is an ideal venue for a corporate or special event. Level Three restaurant, bar and lounge is the perfect location for exclusive dinners and cocktail functions for corporate events. This space is contemporary in style and boasts a large glass ceiling, allowing you to look up to the city lights while enjoying your dining experience. It also has an open-air cocktail bar where you can enjoy a glass of red or white and admire the surrounding city high rise. Level Three has a seated capacity of 100 and can accommodate up to 160 guests for a cocktail function.